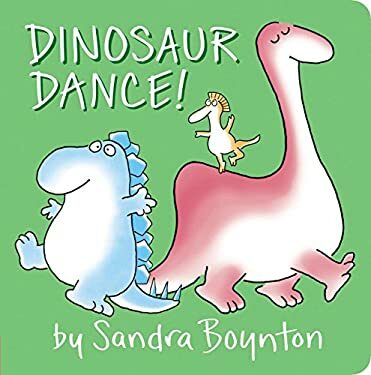 A brand-new board book about dancing dinosaurs from the beloved and bestselling Sandra Boynton "ZANG BOP KIDDLY POW The DINOSAUR DANCE is starting NOW " Join Boynton s lively prehistoric bunch as they get everyone s tails shaking for a feet-stomping good time. Whether they dance the "Shimmy Shimmy Shake," the "Quivery Quake," or just decide to "Cha-Cha-Cha," young readers are sure to giggle along with these adorable creatures that are ready for a ROARING good time "
New (216 available) BRAND NEW. Over 1.5 million happy customers. 100% money-back guarantee. Make your purchase count: support Better World Books' worldwide literacy partners.